Cic Saor - The Irish Times refuses to publish my letter in defence of its literary correspondent Eileen Battersby. Some months ago (long before the row referred to in the letter below erupted), I submitted a novel I’ve recently translated from Danish to English (‘Terminal Innocence’ by Klaus Rifbjerg) to Eileen Battersby for consideration as a review item. I have no idea whether Ms Battersby is indeed going to publish a review of my translation, but I do know that were she to carry out such a review of my work, it would be scrupulously honest, insightful and well argued. This is her stock in trade and her passion as I have gleaned from reading countless reviews from her hand. Furthermore, if such a review proved to be wholly negative, it would not change my views on the (sacred and ancient) role of arts critics and how, in my view, Eileen Battersby has been hung out to dry by her own newspaper. A critic has every right to criticise a book or other work of art, if such criticism is based on a well-informed appraisal of the relevant work and gives convincing examples of where the work may be faulty. Ms Battersby does just that in relation to Paul Murray’s new novel. 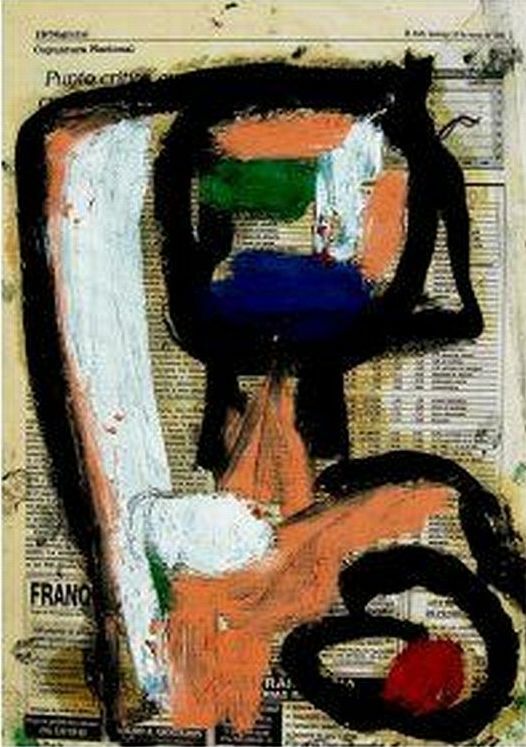 I say this as someone whose own work has been subject to no little scrutiny – both highly positive and very negative. If there is a precedent for a newspaper of record conducting a public humiliation of one of its own correspondents in the way the Irish Times has with Eileen Battersby I am not aware of it. It surely cannot be an accident that following Ms Battersby’s negative review of Paul Murray’s latest novel (Sat. July 11), we have seen what amounts to three separate Irish Times put-downs of her, in my view, succinctly argued piece on Murray’s work. Clearly an editorial decision was made to publish a roundup of reviewers talking about literary reviewing a week later, which facilitated attacks on Eileen Battersby and her ‘scathing’ (damaging) views, as the IT itself puts it. This roundup includes a contribution from a personal friend of Paul Murray’s, John Boyne, who himself wrote an excoriating review of a novel only last year, but who writes ad hominem, describing Ms Battersby as OTT, and her review as 'vicious'. The phrase physician heal thyself comes to mind. Has this type of roundup following a poor review ever happened before? A roundup, furthermore, that is then followed by a high profile and highly favourable feature on Paul Murray (Arminta Wallace Sat. Jul 18th) in which the question of his alleged portrayal of Brian Lenihan is softly massaged. The Lenihan portrayal, one might say cruel depiction if proven, is of course a key note in Battersby’s review. As a literary translator and journalist I have had cause to appreciate Eileen Battersby’s work down the years and the IT’s own reaction to her review smacks of a Dublin 4 set collectively spitting out its literary dummy. 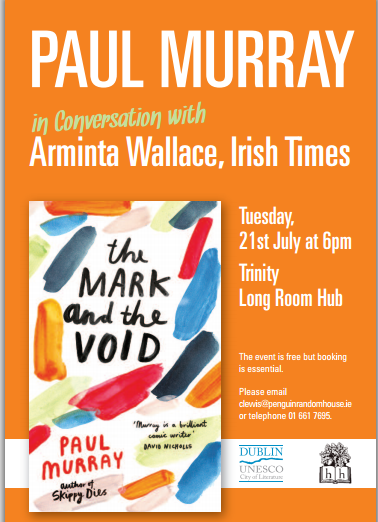 Since this letter was sent to and rejected by the Irish Times, Arminta Wallace followed up her soft focus article referred to above with an ‘evening of conversation’ with Paul Murray on Tuesday the 21st July at the Long Room Hub,. Trinity College. Also in a tweet to my twitter account @brehonisbest last night, author John Boyne @john_boyne pointed out the following in reference to his contribution to the Irish Times' round-up of reviewers (referred to above): "In fairness, I admit that PM (Paul Murray) is a friend & that I regret my 'excoriating' review. Also, I say that I generally admire Eileen." "Totally agree with you. Saw that Arminta Wallace piece and said to myself that the Dublin club of glitteraties are circling the wagons: don't criticise one of our own!!!" Title: The Irish Times refuses to publish my letter in defence of its literary correspondent Eileen Battersby. Previous entry: « The spook term ‘Stakeknife’ was not put into circulation until the early 2000s - where did it come from?